The L-arginine is a semi-essential amino acid that can be metabolized to form several bioactive molecules [1Wu G, Morris SM Jr. Arginine metabolism: Nitric oxide and beyond. Biochem J 1998; 336(Pt 1): 1-17. [http://dx.doi.org/10.1042/bj3360001] [PMID: 9806879] ] including Nitric Oxide (NO). Arginases are the enzymes that convert the amino acid L-arginine into urea and the amino acid L-ornithine, whereas Nitric Oxide Synthases (NOS) are the enzymes that convert L-arginine into the amino acid L-citrulline during the synthesis of NO. L-ornithine and L-citrulline are used as precursors in the synthesis of new L-arginine as enzymatic products generated from L-arginine. In addition, L-ornithine can be converted by the enzyme L-ornithine decarboxylase to produce polyamines such as putrescine, spermidine, and spermine, which are needed for proper cell growth and function [2Alm K, Oredsson S. Cells and polyamines do it cyclically. Essays Biochem 2009; 46: 63-76. [http://dx.doi.org/10.1042/bse0460005] [PMID: 20095970] -5Wallace HM, Fraser AV, Hughes A. A perspective of polyamine metabolism. Biochem J 2003; 376(Pt 1): 1-14. [http://dx.doi.org/10.1042/bj20031327] [PMID: 13678416] ]. Thus, the global balance of useful L-arginine levels can be showed by steady-state systemic L-arginine bioavailability in relation to the amount of L-arginine catabolized via arginases and NOS. Therefore, these steady-state ratios can be used to identify and quantify altered mechanisms in which L-arginine metabolism is involved. Since NO can only be formed from L-arginine, and L-citrulline and L-ornithine are the products resulting from the metabolism of L-arginine, the Global Arginine Bioavailability (GABR) index can be calculated as the ratio between the levels of L-arginine and the sum of the levels of L-ornithine and L-citrulline and is an indicator of the availability of L-arginine to form NO by NOS. This indicator has been shown to be more suitable than the levels of L-arginine [6Tang WH, Wang Z, Cho L, Brennan DM, Hazen SL. Diminished global arginine bioavailability and increased arginine catabolism as metabolic profile of increased cardiovascular risk. J Am Coll Cardiol 2009; 53(22): 2061-7. [http://dx.doi.org/10.1016/j.jacc.2009.02.036] [PMID: 19477356] ]. NO derived from endothelial NOS (eNOS) is a key factor for the stabilization and regulation of the vascular microenvironment [7de la Torre JC. Cerebral hemodynamics and vascular risk factors: Setting the stage for alzheimer’s disease. J Alzheimers Dis 2012; 32(3): 553-67. [http://dx.doi.org/10.3233/JAD-2012-120793] [PMID: 22842871] , 8Forstermann U, Sessa WC. Nitric oxide synthases: Regulation and function. Eur Heart J 2012; 33: 829-37. 37a-37d[http://dx.doi.org/10.1093/eurheartj/ehr304] ], whereas neuronal NOS (nNOS)-derived NO plays an important role in synaptic plasticity and learning and memory [9Feil R, Kleppisch T. NO/cGMP-dependent modulation of synaptic transmission. Handb Exp Pharmacol 2008; 184(184): 529-60. [http://dx.doi.org/10.1007/978-3-540-74805-2_16] [PMID: 18064424] -11Zhou L, Zhu DY. Neuronal nitric oxide synthase: Structure, subcellular localization, regulation, and clinical implications. Nitric Oxide 2009; 20(4): 223-30. [http://dx.doi.org/10.1016/j.niox.2009.03.001] [PMID: 19298861] ]. In the Central Nervous System (CNS), NO regulates various and important functions such as the maintaining of cerebral blood flow, consolidation of memory processes, facilitation of long-term potentiation, maintaining of sleep-wake cycles and normal olfaction [12Virarkar M, Alappat L, Bradford PG, Awad AB. L-arginine and nitric oxide in CNS function and neurodegenerative diseases. Crit Rev Food Sci Nutr 2013; 53(11): 1157-67. [http://dx.doi.org/10.1080/10408398.2011.573885] [PMID: 24007420] ]. However, several authors suggest the involvement of L-arginine metabolism –and by extension, of NO- in Alzheimer’s Disease (AD) pathogenesis [12Virarkar M, Alappat L, Bradford PG, Awad AB. L-arginine and nitric oxide in CNS function and neurodegenerative diseases. Crit Rev Food Sci Nutr 2013; 53(11): 1157-67. [http://dx.doi.org/10.1080/10408398.2011.573885] [PMID: 24007420] -15Yi J, Horky LL, Friedlich AL, Shi Y, Rogers JT, Huang X. L-arginine and Alzheimer’s disease. Int J Clin Exp Pathol 2009; 2(3): 211-38. [PMID: 19079617] ]. In AD brains, neurofibrillary tangles and senile plaques are associated with reduced capillary expression of eNOS [16Jeynes B, Provias J. Significant negative correlations between capillary expressed eNOS and Alzheimer lesion burden. Neurosci Lett 2009; 463(3): 244-8. [http://dx.doi.org/10.1016/j.neulet.2009.07.091] [PMID: 19660523] -18Whiteley CG. Arginine metabolising enzymes as targets against Alzheimers’ disease. Neurochem Int 2014; 67: 23-31. [http://dx.doi.org/10.1016/j.neuint.2014.01.013] [PMID: 24508404] ]. Also, eNOS-derived NO can directly modulate the production of amyloid beta (Aß) avoiding its increase [19Austin SA, Santhanam AV, Katusic ZS. Endothelial nitric oxide modulates expression and processing of amyloid precursor protein. Circ Res 2010; 107(12): 1498-502. [http://dx.doi.org/10.1161/CIRCRESAHA.110.233080] [PMID: 21127294] ]. However, NO also acts as a free radical, and an excessive amount of NO, mainly derived from inducible NOS (iNOS), leads to neurotoxicity and neurodegeneration due to nitroxidative stress instead of oxidative stress [14Malinski T. Nitric oxide and nitroxidative stress in Alzheimer’s disease. J Alzheimers Dis 2007; 11(2): 207-18. [http://dx.doi.org/10.3233/JAD-2007-11208] [PMID: 17522445] , 20Law A, Gauthier S, Quirion R. Say NO to Alzheimer’s disease: The putative links between nitric oxide and dementia of the Alzheimer’s type. Brain Res Brain Res Rev 2001; 35(1): 73-96. [http://dx.doi.org/10.1016/S0165-0173(00)00051-5] [PMID: 11245887] , 21Puertas MC, Martínez-Martos JM, Cobo MP, Carrera MP, Mayas MD, Ramírez-Expósito MJ. Plasma oxidative stress parameters in men and women with early stage Alzheimer type dementia. Exp Gerontol 2012; 47(8): 625-30. [http://dx.doi.org/10.1016/j.exger.2012.05.019] [PMID: 22664577] ]. It has been also reported that NO produced in response to Aß promotes mitochondrial fission, synaptic loss, and neuronal damage [22Cho DH, Nakamura T, Fang J, et al. S-nitrosylation of Drp1 mediates beta-amyloid-related mitochondrial fission and neuronal injury. Science 2009; 324(5923): 102-5. [http://dx.doi.org/10.1126/science.1171091] [PMID: 19342591] ]. On the other hand, L-ornithine can also be used to produce glutamate that can be further metabolized to generate the amino acids Gamma-Aminobutyric Acid (GABA) and glutamine through the enzymes glutamic acid decarboxylase and glutamine synthase, respectively [1Wu G, Morris SM Jr. Arginine metabolism: Nitric oxide and beyond. Biochem J 1998; 336(Pt 1): 1-17. [http://dx.doi.org/10.1042/bj3360001] [PMID: 9806879] , 23Tapiero H, Mathé G, Couvreur P, Tew KD. II. Glutamine and glutamate. Biomed Pharmacother 2002; 56(9): 446-57. [http://dx.doi.org/10.1016/S0753-3322(02)00285-8] [PMID: 12481981] , 24Wiesinger H. Arginine metabolism and the synthesis of nitric oxide in the nervous system. Prog Neurobiol 2001; 64(4): 365-91. [http://dx.doi.org/10.1016/S0301-0082(00)00056-3] [PMID: 11275358] ]. It must be also taken into account that it has been described decreased levels of glutamate and GABA in brains of AD patients and increased glutamine synthase enzyme in cerebrospinal fluid [25Ellison DW, Beal MF, Mazurek MF, Bird ED, Martin JB. A postmortem study of amino acid neurotransmitters in Alzheimer’s disease. Ann Neurol 1986; 20(5): 616-21. [http://dx.doi.org/10.1002/ana.410200510] [PMID: 2878639] , 26Tumani H, Shen G, Peter JB, Brück W. Glutamine synthetase in cerebrospinal fluid, serum, and brain: A diagnostic marker for Alzheimer disease? Arch Neurol 1999; 56(10): 1241-6. [http://dx.doi.org/10.1001/archneur.56.10.1241] [PMID: 10520940] ]. We examine here the GABR in early-stage AD patients to analyze if this parameter can reflect an altered NO production, which would confirm the importance of L-arginine metabolism, and by extension, of NO, in the development of the disease, and if so, whether there is diagnostic/prognostic significance in measuring GABR in this patients. To our knowledge, it has not been described yet in the literature plasma GABR values in patients with AD but is presented as a potential early and non-invasive biomarker for the illness. The subjects of this study were 46 individuals with AD (20 males and 26 females; age 74.82 years ± 1.10) and 46 healthy age-matched controls (16 males and 30 females; age 73.63 years ± 0.96). Patients were recruited from the Unit of Neurology of the University Hospital “Ciudad de Jaén” and healthy voluntaries from routine controls. People who take antibiotics, Nonsteroidal Anti-Inflammatory Drugs (NSAIDs), steroids, vitamins or antioxidant supplements were excluded. Subjects with a history of smoking and alcohol intake were also excluded from the study. Subjects received a diagnosis of AD if they met DSM-IV clinical criteria for dementia, and received a diagnosis of probable or possible AD according to NINCDS/ADRDA (National Institute of Neurological and Communicative Disorders and Stroke/Alzheimer’s Disease and Related Disorders Association) criteria. People with AD who had comorbidity with other clinical major neurological illness were excluded. Cognitive and functional status of AD patients was assayed by Mini-Mental State Examination (21.89 ± 0.58); Blessed Scale (6.98 ± 0.46) and Brief Cognitive Rating Scale (BCRS) adapted as Functional Assessment Stage (FAST) (3.80 ± 0.11) [21Puertas MC, Martínez-Martos JM, Cobo MP, Carrera MP, Mayas MD, Ramírez-Expósito MJ. Plasma oxidative stress parameters in men and women with early stage Alzheimer type dementia. Exp Gerontol 2012; 47(8): 625-30. [http://dx.doi.org/10.1016/j.exger.2012.05.019] [PMID: 22664577] ]. Study participants´ fasting blood samples were collected in the morning and centrifuged immediately. Plasma samples were stored at -80ºC until measurement. The research protocol was approved by the local Clinical Research Ethical Committee at University Hospital of Jaén (Reference number PI031095). All subjects, patients and/or their legal’s guardians provided written informed consent. L-Arginine, L-citrulline and L-ornithine content were assayed by HPLC coupled to a fluorescence detection system, as previously described by us [27Martínez-Martos JM, Iribar MC, Peinado JM. Evoked GABA release is not mediated by N-type VDCC in the frontal cortex of awake rats: effects of neomycin. Brain Res Bull 1997; 43(5): 441-5. [http://dx.doi.org/10.1016/S0361-9230(96)00355-3] [PMID: 9250617] ] with modifications. Briefly, plasma samples (40 µL) were deproteinated by ultrafiltration through a 10,000 molecular weight cut-off filter. The deproteinated plasma was precolumn derivatized with OPA reagent (o-phthaldialdehyde in borate buffer pH 9.5 containing 3-mercaptopropionic acid) and injected through a refrigerated Perkin-Elmer Series 200 automatic sample injector into a 150 x 3.9 mm Waters Resolve 5µ C-18 column. The mobile phase consisted of: (A) 53 mM sodium phosphate plus 1.2 mM EDTA (pH 6.3) and (B) 50/50 acetonitrile/water. A flow rate of 1 ml/min was maintained with a Perkin-Elmer Series 200 pump, using a gradient of solvent A from 90 to 0% in 30 min. The fluorescence detector (Perkin-Elmer Series 200a) was set at an excitation wavelength of 340 nm and an emission wavelength of 420 nm. Data were processed with the TotalChrom WorkStation ver. 6.3.1 software from Perkin-Elmer. Concentrations were expressed as n-moles of amino acid per ml. GABR is calculated as the ratio of L-arginine to the sum of L-ornithine + L-citrulline. The sum of nitrates and nitrites (NOx) was measured as the main metabolic end-products of NO and peroxinitrite anion (ONOOˉ). NOx (expressed as µmol/L) was determined as the concentration of nitrate plus nitrite in the plasma by a two-step process in a micro-titter plate format (Biovision Inc., Milpitas, California, USA), according to the manufacturer instructions. Firstly, nitrate is converted to nitrite utilizing nitrate reductase. Secondly, Griess reagents are used to convert nitrite to an azo compound. The amount of the azochromophore accurately reflects nitric oxide amount in samples. All values represent the mean of the individual determination ± Standard Error of the Mean (SEM). Data were analyzed by unpaired Student t test using IBM Pass V.19 software. ROC curves were analyzed and the Area Under the Curve (AUC), sensitivity and specificity calculated using MedCalc 12.2.1 package. Values of P<0.05 were considered significant. Table 1 shows plasma levels of arginine, citrulline and ornithine in healthy controls and AD patients. No significant changes were observed in arginine levels, whereas a significant increase in the levels of citrulline (P<0.001) and ornithine (P<0.01) were found in AD patients when compared with their corresponding healthy controls. Fig. (1A ) shows plasma GABR in early-stage AD patients. GABR was significantly lower in AD patients than in control subjects (P<0.001), with a decrease of 47.8% in AD patients. On the contrary, plasma NOx levels increased significantly (P<0.01) in AD patients (Fig. 1B ), being this increase by 46.9%. Fig. (1C ) shows the ROC curve obtained for GABR. The optimal balance between sensitivity and specificity was found at a cut-off of 0.647. The overall diagnostic accuracy showed an AUC=0.877±0.0433 (P<0.0001), a sensitivity of 78.1 and a specificity of 90.5. Plasma amino acid levels of Global Arginine Bioavailability Ratio (GABR) calculation components in healthy controls and patients with early-stage Alzheimer’s disease. The study of biochemical and physiological importance of L-arginine has been very wide for a long time. However, since the discovery of the multitude of functions of NO, the role of L-arginine has a growing interest, since this amino acid is the main physiological substrate for NO synthesis. In the nervous system, NO is involved in various signaling and defense functions, but can also be harmful if it is synthesized in excess or in the wrong place. Therefore, mechanisms that supply L-arginine to form NO in neuronal cells can be of great importance in the delicate balance between normal and pathological events that occur in the CNS, including AD [24Wiesinger H. Arginine metabolism and the synthesis of nitric oxide in the nervous system. Prog Neurobiol 2001; 64(4): 365-91. [http://dx.doi.org/10.1016/S0301-0082(00)00056-3] [PMID: 11275358] , 28Aliev G, Palacios HH, Lipsitt AE, et al. Nitric oxide as an initiator of brain lesions during the development of Alzheimer disease. Neurotox Res 2009; 16(3): 293-305. [http://dx.doi.org/10.1007/s12640-009-9066-5] [PMID: 19526276] ]. On the other hand, L-citrulline and L-ornithine are the two amino acids that originate after L-arginine catabolism. Therefore, it was introduced the concept of GABR as an indicator of NO synthesis capacity which is much better than the values of its metabolites only [6Tang WH, Wang Z, Cho L, Brennan DM, Hazen SL. Diminished global arginine bioavailability and increased arginine catabolism as metabolic profile of increased cardiovascular risk. J Am Coll Cardiol 2009; 53(22): 2061-7. [http://dx.doi.org/10.1016/j.jacc.2009.02.036] [PMID: 19477356] ]. In fact, in our study, we have found no significant differences in plasma L-arginine levels between control subjects and patients with AD, whereas L-ornithine and L-citrulline levels were increased. Therefore, an important decrease in GABR was found in the plasma of AD patients. This decrease of about 48% correlates with the higher NOx levels also found in these patients (about 47%). Nitrate and nitrite are the stable end products of NO, and their levels have been used as an index of NO production [29Sun J, Zhang XJ, Broderick M, Fein H. Measurement of nitric oxide production in biological systems by using Griess Reaction assay. Sensors (Basel) 2003; 3: 276-84. [http://dx.doi.org/10.3390/s30800276] ]. The results showed here also agree with the data reported by several other authors who found increased levels of NO/NOx in AD patients when compared to healthy controls [30Cacabelos R, Fernández-Novoa L, Lombardi V, Corzo L, Pichel V, Kubota Y. Cerebrovascular risk factors in Alzheimer’s disease: Brain hemodynamics and pharmacogenomic implications. Neurol Res 2003; 25(6): 567-80. [http://dx.doi.org/10.1179/016164103101202002] [PMID: 14503010] -32Vural H, Sirin B, Yilmaz N, Eren I, Delibas N. The role of arginine-nitric oxide pathway in patients with Alzheimer disease. Biol Trace Elem Res 2009; 129(1-3): 58-64. [http://dx.doi.org/10.1007/s12011-008-8291-8] [PMID: 19099206] ]. Also, Dildar et al. [33Dildar K, Sinem F, Gökhan E, Orhan Y, Filiz M. Serum nitrosative stress levels are increased in Alzheimer disease but not in vascular dementia. Alzheimer Dis Assoc Disord 2010; 24(2): 194-7. [http://dx.doi.org/10.1097/WAD.0b013e3181c53d0d] [PMID: 20505437] ] have found increased NO plasma levels in probable AD patients but not in patients with vascular dementia, and this seems to be related to cognitive status. On the contrary, other authors did not find changes in plasma and/or CSF nitrate levels between AD patients and controls [34Folin M, Baiguera S, Gallucci M, et al. A cross-sectional study of homocysteine-, NO-levels, and CT-findings in Alzheimer dementia, vascular dementia and controls. Biogerontology 2005; 6(4): 255-60. [http://dx.doi.org/10.1007/s10522-005-2622-3] [PMID: 16333759] -36Navarro JA, Molina JA, Jiménez-Jiménez FJ, et al. Cerebrospinal fluid nitrate levels in patients with Alzheimer’s disease. Acta Neurol Scand 1996; 94(6): 411-4. [http://dx.doi.org/10.1111/j.1600-0404.1996.tb00053.x] [PMID: 9017029] ] or showed decreased levels of circulating NO with AD [37Corzo L, Zas R, Rodríguez S, Fernández-Novoa L, Cacabelos R. Decreased levels of serum nitric oxide in different forms of dementia. Neurosci Lett 2007; 420(3): 263-7. [http://dx.doi.org/10.1016/j.neulet.2007.05.008] [PMID: 17556102] , 38Selley ML. Increased concentrations of homocysteine and asymmetric dimethylarginine and decreased concentrations of nitric oxide in the plasma of patients with Alzheimer’s disease. Neurobiol Aging 2003; 24(7): 903-7. [http://dx.doi.org/10.1016/S0197-4580(03)00007-1] [PMID: 12928048] ]. These differences have been explained by the use of different methods of assay [32Vural H, Sirin B, Yilmaz N, Eren I, Delibas N. The role of arginine-nitric oxide pathway in patients with Alzheimer disease. Biol Trace Elem Res 2009; 129(1-3): 58-64. [http://dx.doi.org/10.1007/s12011-008-8291-8] [PMID: 19099206] ]. NO is a very labile molecule and it is difficult to directly assay in biological samples. Thus, NO data are usually reported as a measure of the total concentration of the products of oxidation of NO nitrite/nitrate (NOx). It is also possible the use of an inadequate number of patients and controls [32Vural H, Sirin B, Yilmaz N, Eren I, Delibas N. The role of arginine-nitric oxide pathway in patients with Alzheimer disease. Biol Trace Elem Res 2009; 129(1-3): 58-64. [http://dx.doi.org/10.1007/s12011-008-8291-8] [PMID: 19099206] ]. In fact, it has been described different results by the same authors in preliminary and later studies due to the number of subjects and controls [30Cacabelos R, Fernández-Novoa L, Lombardi V, Corzo L, Pichel V, Kubota Y. Cerebrovascular risk factors in Alzheimer’s disease: Brain hemodynamics and pharmacogenomic implications. Neurol Res 2003; 25(6): 567-80. [http://dx.doi.org/10.1179/016164103101202002] [PMID: 14503010] , 37Corzo L, Zas R, Rodríguez S, Fernández-Novoa L, Cacabelos R. Decreased levels of serum nitric oxide in different forms of dementia. Neurosci Lett 2007; 420(3): 263-7. [http://dx.doi.org/10.1016/j.neulet.2007.05.008] [PMID: 17556102] ]. More recently, Liu et al. [39Liu P, Fleete MS, Jing Y, et al. Altered arginine metabolism in Alzheimer’s disease brains. Neurobiol Aging 2014; 35(9): 1992-2003. [http://dx.doi.org/10.1016/j.neurobiolaging.2014.03.013] [PMID: 24746363] ] described no changes in NOx levels in selected brain regions (superior frontal gyrus and anterior lobe of cerebellum) in AD patients, which appear to contradict with the AD- and/or age-related decrease in the total NOS activity found in these regions by radioenzymatic assay. They suggest that it could be possible the existence of more nitrate and nitrite produced endogenously (particularly from iNOS) in the oldest patients (over 80 years old). However, reduced or unchanged iNOS protein level found in AD patients or aged subjects does not support this idea. It has been also shown that NOx can also be dietarily obtained, in addition to endogenous NOS pathway [40Lundberg JO, Weitzberg E, Gladwin MT. The nitrate-nitrite-nitric oxide pathway in physiology and therapeutics. Nat Rev Drug Discov 2008; 7(2): 156-67. [http://dx.doi.org/10.1038/nrd2466] [PMID: 18167491] ]. In this sense, Milsom et al. [41Milsom AB, Fernandez BO, Garcia-Saura MF, Rodriguez J, Feelisch M. Contributions of nitric oxide synthases, dietary nitrite/nitrate, and other sources to the formation of NO signaling products. Antioxid Redox Signal 2012; 17(3): 422-32. [http://dx.doi.org/10.1089/ars.2011.4156] [PMID: 22133018] ] showed that dietary NOx intake restriction induced a significant reduction in nitrate and nitrite levels in the rat brains. Therefore, the certain contribution of dietary NOx to the brain NOx exists. Due to the blood-brain barrier does not function properly during AD and aging [42Marques F, Sousa JC, Sousa N, Palha JA. Blood-brain-barriers in aging and in Alzheimer’s disease. Mol Neurodegener 2013; 8: 38. [http://dx.doi.org/10.1186/1750-1326-8-38] [PMID: 24148264] ], there may be increased dietary and/or peripheral source of NOx in AD and advanced aged brains that must be also be taken into account. In any case, we describe for the first time the plasma GABR as an indicator of an altered L-arginine-NO pathway in AD and its putative use as a non-invasive biomarker. In fact, we have also evaluated the potential value of GABR as a diagnostic biomarker of AD in its earliest stages, using ROC curve analyses. In our hands, GABR showed a very good diagnostic accuracy in AD, and could be used for health screening of the elder population. Furthermore, the ideal AD biomarker would come from blood [43Graff-Radford NR, Crook JE, Lucas J, et al. Association of low plasma Abeta42/Abeta40 ratios with increased imminent risk for mild cognitive impairment and Alzheimer disease. Arch Neurol 2007; 64(3): 354-62. [http://dx.doi.org/10.1001/archneur.64.3.354] [PMID: 17353377] ]. We can conclude that low plasma GABR levels in AD patients reflect that the L-arginine-NO pathway has turned towards NO in AD, probably producing nitroxidative stress, which promotes the development of neurodegenerative diseases such as AD. Furthermore, it could also be involved in altering some of its physiological functions such as the promotion of adequate cerebral blood flow, consolidation of memory processes, facilitation of long-term potentiation or maintaining the sleep-wake cycles. 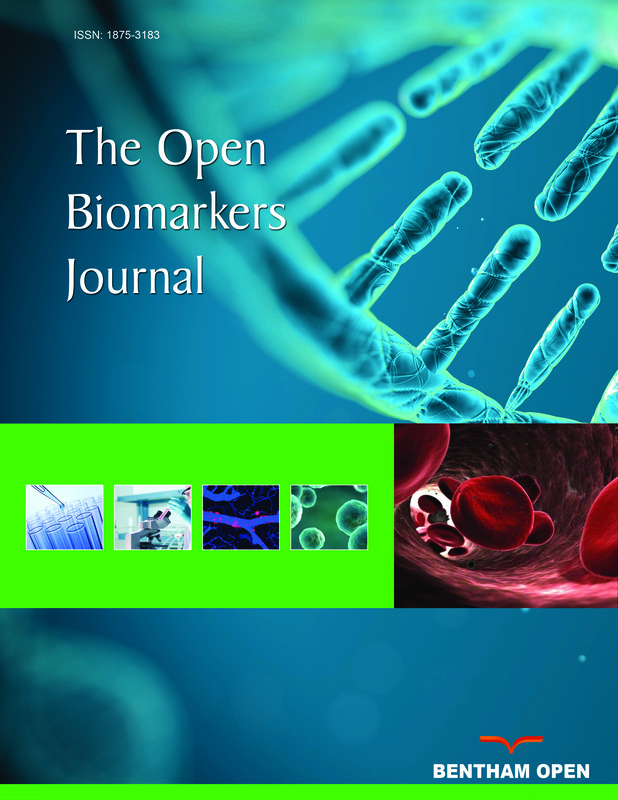 Finally, GABR is proposed as a putative useful biomarker of the disease. Here, we have evaluated the potential value of GABR as a diagnostic biomarker of AD in its earliest stages, using a minimally invasive procedure. Employment of larger sample sizes and the differentiation from other related pathologies will clearly improve the utility of this procedure. The present research was approved by the local Clinical Research Ethical Committee at University Hospital of Jaén (Reference number PI031095). Animals were not used in this research. All human research procedures followed were in accordance with the ethical standards of the committee responsible for human experimentation (institutional and national), and with the Helsinki Declaration of 1975, as revised in 2013. All subjects, patients and/or their legal’s guardians provided written informed consent to participate in this research. Supported by Junta de Andalucía through PAIDI BIO296 (currently CTS1039), Consejería de Salud through grant PI-0473-2009 and Consejería de Innovación, Ciencia y Empresa through grant P07-CVI-02758.